JUST ADD WATER: Here comes a juicy pageturner from a buzzworthy new Jamaican author, pictured below. A year after Marlon James’ A Brief History of Seven Killings rocked the literary world, wowing critics and gracing multiple bestseller and Top 10 lists, another Jamaica-set novel is making major noise abroad. 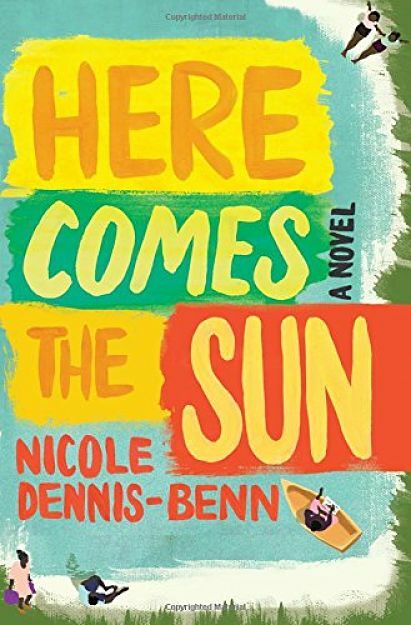 Released just in time for the summer, Here Comes the Sun (LiveRight) by newcomer Nicole Dennis-Benn – a Jamaican-born writer now living in Brooklyn – is already one of the BBC’s “10 New Beach Reads to Devour” and a New York Times “Cool Reads for Hot Days” pick. According to reviews, the novel delivers an equally heartfelt and provocative story that honestly earns the lavish critical praise. In other words, it more than lives up to the hype. Largely set in the fictitious village of River Bank, it’s the story of Margot, who works at a swanky, tourist-friendly resort in the bustling, tourist-friendly mecca of Montego Bay, sending her younger sister Thandi to school. Sadly, theirs is also a reality in which sexuality is often traded in the name of survival. But butter mus’ come. So when plans for the construction of a new hotel is the talk of the village, Margot sees not only an opportunity for her own financial independence but the chance to finally admit a shocking secret.